Zestos: Enabling life through communication of research: Do we send enough time preparing food? Was given a 1962 cook book by my sister last Christmas. She gave it to me as (1) I like cooking and (2) my mum has always used this cook book - except hers had big round circles on the back were it had laid on a hot element! so it has some sentimental value. Sat down had a good read of it yesterday. What I was struck by was how much time things took. Perpetration and cooking time. There was a distinct lack of any processed foods. You had to make your own breadcrumbs, your own custard.... and there was nearly no machines, no electric beaters and food processors /blenders were clearly the latest technology. Not only did you have to make these things you spent hours and hours preparing food and making it swish. Lots of time in making mashed potatoes into swirls and re cooking them, that kind of stuff. The other interesting thing was the effect of season. It was a UK based book so fish types were seasonal along with various produce. Today's cookbooks are all about speed in preparation. Speed because we have no time to spare because we have a billion other things, like work. Speed takes over - we have gadgets for everything, canned, dried, precooked, frozen. Everything you need whenever you need it. 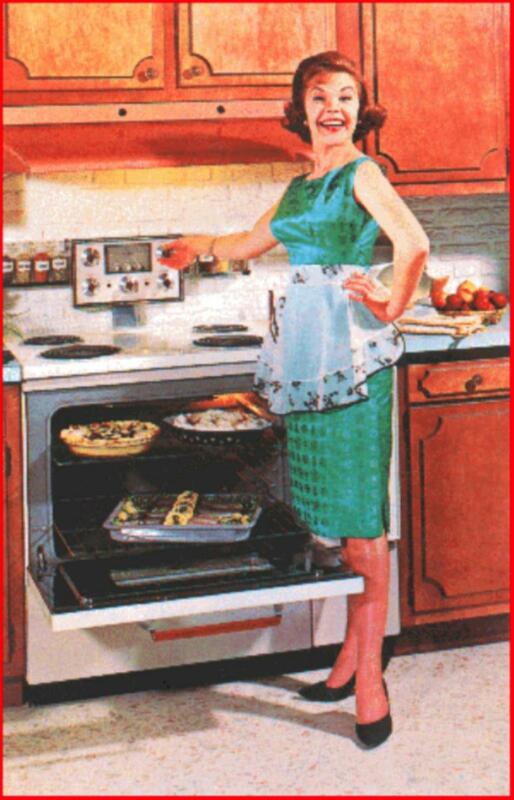 I am not suggesting that we go back to the 60's - the book states a number of times that housewives (!) would find this helpful..... However it has made me question how much time should I be spending in the kitchen and preparing things. We do a reasonable job of eating in season as we eat from the garden whenever possible and tend to purchase the cheaper fruits and vegetables which means that they are often NZ fruits / vegetables as they are in the "glut" of production. I wonder about our lives of convenience - are they really that convenient? Mum and Dad working, having no time or energy, always busy, always doing. How to balance the reality of cash flow vs the rhythm of nature. Maybe I should be scheduling more of my day into food preparation. I really consider anything that takes more than a hour to do a waste of time (except smoking which I had my first successful go at it last week after Tiffany purchased some manuka wood chips as a Chirstmas present for me). Maybe I should be exploring options that take longer in the cooking. Preparing things after lunch instead of leaving it to 5:00 and doing it under pressure.